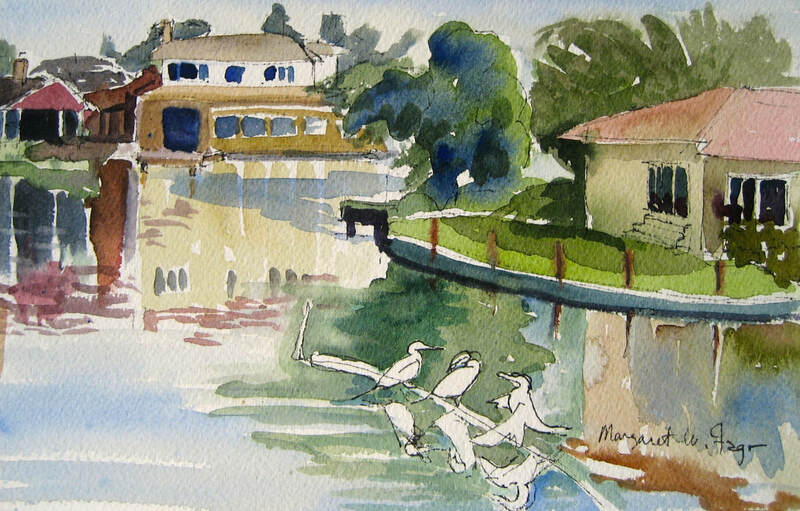 Lagoon Cormorants by Margaret Fago. Description: Learn how to see your subject outdoors, identify the most important shapes and light source, then put it into a painting. A demo will start each day. Small group with lots of feedback. We will paint on location near the lagoons on Bayfarm Island. Students will be given the exact location prior to class each day so we can meet on location. **This workshop will be taught offsite. Location provided upon registration. ​Students may take one, two or all three days.